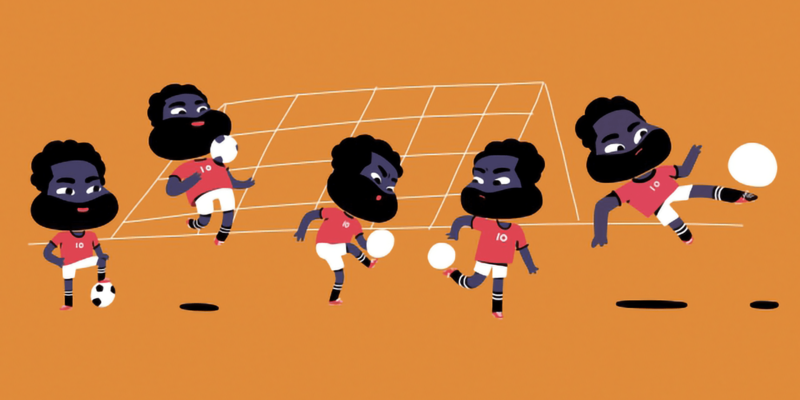 Animated fun for the World Cup. As a general rule, World Cup advertising tends to include fast food, soda or any other manner of official connection to the tournament itself. Stretching its legs, however, creative production company Gentleman Scholar created a tribute to the happenings in Russia, leveraging its impressive roster and animation chops. Focusing on the diverse nature of the World Cup, the film is a delicious romp through several styles and techniques—not relying solely on one animator and highlighting the impressive talent that the production company is known for. In essence, this is a self-promotional and passion piece for Gentleman Scholar, but it carries a decent amount of weight, minding the small details that illustrate the high bar it consistently sets. Though it’s not quite as sprawling as the outstanding 2015 work that was done for Bleacher Report with BarrettSF, it’s a reminder that great animation, done well, can stand out in a sea of sameness.